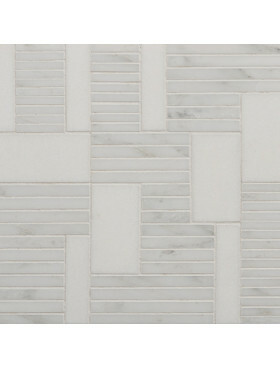 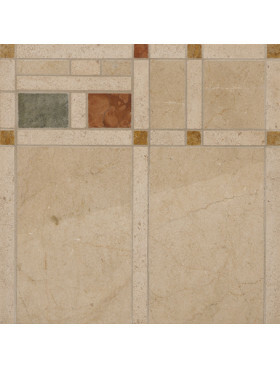 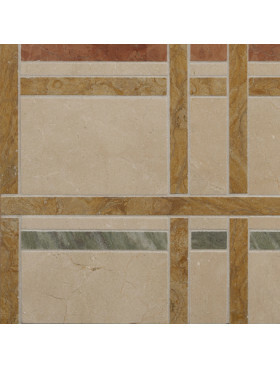 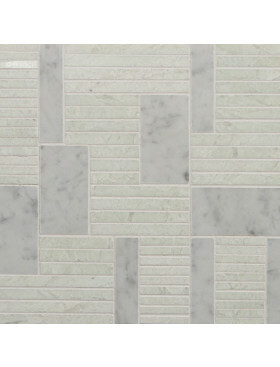 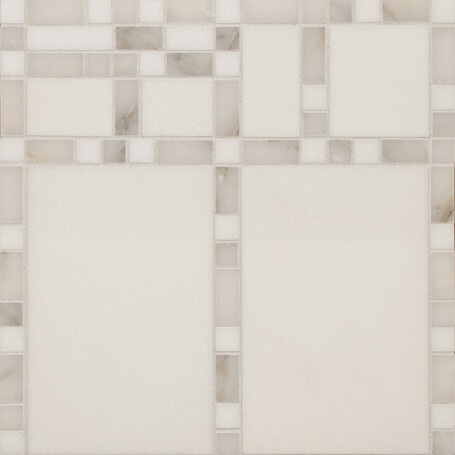 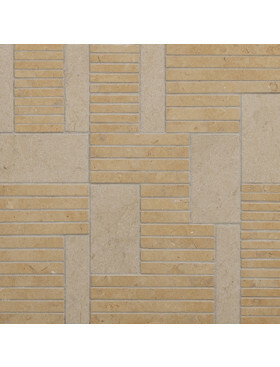 Boogie Woogie Ivories, unique, sophisticated marble mosaic tile. Boogie Woogie Ivories 12" x 12"
Boogie Woogie Ivories has just lovely white keys! 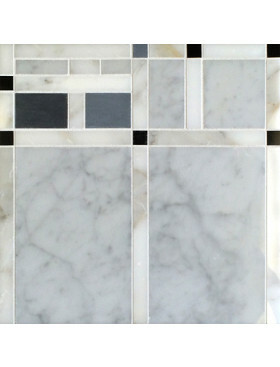 Sold by the sheet; each sheet is 12" x 12"
Estimated lead-time is 2-6 weeks. 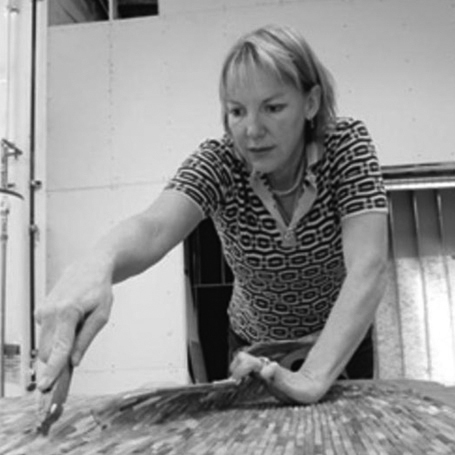 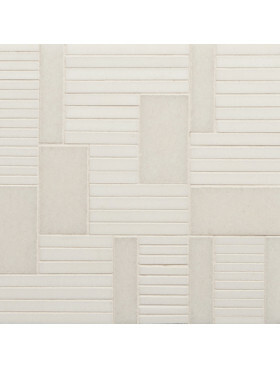 Erin Adams used music as her muse to design four original marble mosaic patterns for Tango Tile. 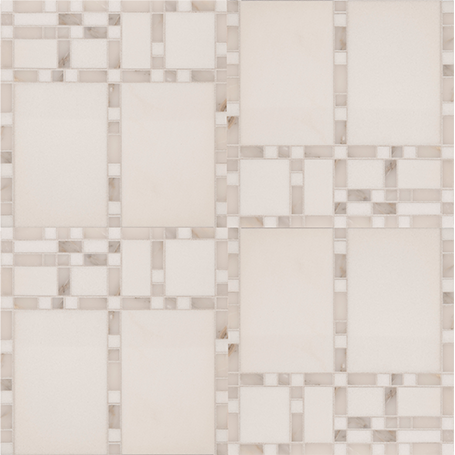 The two Boogie Woogie series are riffs on Mondrian’s Broadway Boogie Woogie in versatile, neutral colors. 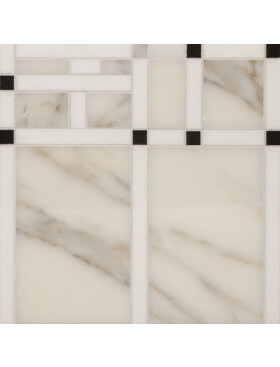 New York, New York captures NYC’s straightforward approach to being a city with a wonderful grid design and a warm palette. 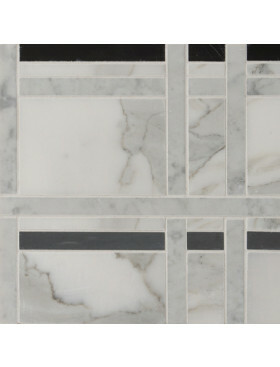 Rhythm looks to us like the pulse of NYC with its vertical and horizontal elements softened by the use of muted colors. 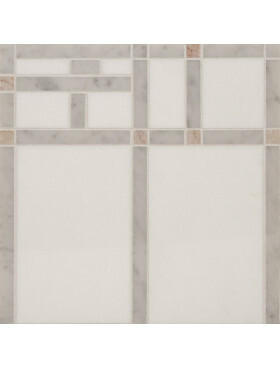 All four of these designs can work anywhere in your home and are highly recommended for entry ways, foyers and halls. 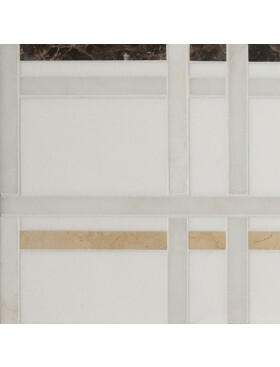 As with all our collections, we strongly urge you to order a sample before purchasing. 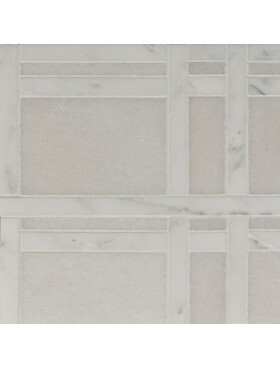 Lead times are 2-6 weeks.